Criminal convictions can hang over your head and hinder you from taking positive steps in moving your life forward. Criminal records are often checked by potential employers when applying for a job, the admissions board and financial aid office when applying for college and student loans, officers and banks distributing private loans, and even landlords and realtors before leasing an apartment. 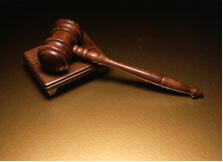 In short, criminal convictions can continue to affect many areas of your life. It may feel as if you are stuck paying for past mistakes. However, in many cases, there is legal recourse available, by sealing your criminal records so they do not appear on a CORI statement. It may be possible to seal your criminal records even if your have pled guilty or have actually been convicted of a crime. You don't have to let a criminal record complicate every aspect of your life. Sealing your criminal records can help you move forward. The criminal defense attorneys at Bellotti Law Group, P.C. have successfully brought many motions (sometimes called "petitions") to seal CORI records, in a wide range of underlying criminal cases. Call our criminal defense lawyers today at 617-225-2100. We have offices in Boston, Cambridge, and Quincy. We serve criminal clients in every court in Greater Boston, throughout Massachusetts and New England. Should You Seal Your CORI Records? If at all possible under the law, it is nearly always a good idea to seal your criminal records. The criminal defense attorneys at Bellotti Law Group, P.C. have successfully petitioned the court to seal many criminal charges, including theft, burglary, arson, weapons violations, drug charges and possession, assault, and many others. Call our criminal defense lawyers today to discuss your options and regain your life without criminal convictions constantly following you. After our criminal defense attorneys successfully bring a motion to seal your criminal records before the court, a search into your records by the Massachusetts Criminal History Systems Board will show no criminal record. This opens many new doors and lifts many potential burdens. For example, on job applications, you can now officially, and legally, state that you have never been charged or arrested for a criminal offense (even though, in reality, you have). There will be no "red flag" showing your record was sealed or that there was a past conviction. It will be a clean slate. Potential employers, information agencies, and others seeking your criminal background use the Massachusetts Criminal History Systems Board to perform background checks. Since your CORI is sealed, it will show no criminal convictions or arrests. For many criminal offenses, sealing a criminal record is a matter of right. However, pursuant to the current law, it takes a staggering 10 years after the final disposition of a misdemeanor and 15 years after the final disposition of a felony. "Final disposition" includes completing any parole after being released from jail. You can't afford 10-15 years of missed job opportunities, rejection from college, and failed housing applications. Luckily, a judge does have the authority to order the sealing of CORI for individual cases, before the above timelines. The judge will balance the hardship experienced by the former offender against the public policy concerns of an open record. It takes experienced, successful criminal defense attorneys to persuade a judge that you have been rehabilitated and should now be able to move forward with your life. Our attorneys have successfully handled numerous petitions to seal CORI, long before the number of years set by the law. After the 2010 Supreme Judicial Court (SJC) ruling in Commonwealth v. Boe, 456 Mass. 337, it has become virtually impossible to have a criminal record completely expunged, which was previously only allowed to correct obvious injustices done to a defendant (essentially, recognizing that charges themselves should have never been brought). However, the case maintained that judges can seal criminal records, pursuant to M.G.L. c. 276, § 100C. Additionally, pursuant to the Massachusetts CORI Reform Bill of 2010, codified at M.G.L. c. 276, § 100A, a defendant who pleads guilty or admits to sufficient facts and receives a "continuance without finding" with probation can now petition the court to seal CORI records after only 5 years for misdemeanors and 10 years for felonies, beginning May 4, 2012. Don't let criminal charges hinder your life any longer than they already have. Call the criminal defense attorneys at Bellotti Law today to begin the process of moving on. The criminal defense lawyers at Bellotti Law Group, P.C. serve Greater Boston, Cambridge, Quincy, Braintree, the South Shore, and all of Massachusetts. Our offices are located in Boston, Cambridge, and Quincy. Contact us today at 617-225-2100. You can also contact us through our online form and we will promptly respond.